Product prices and availability are accurate as of 2019-04-18 17:12:50 EDT and are subject to change. Any price and availability information displayed on http://www.amazon.com/ at the time of purchase will apply to the purchase of this product. 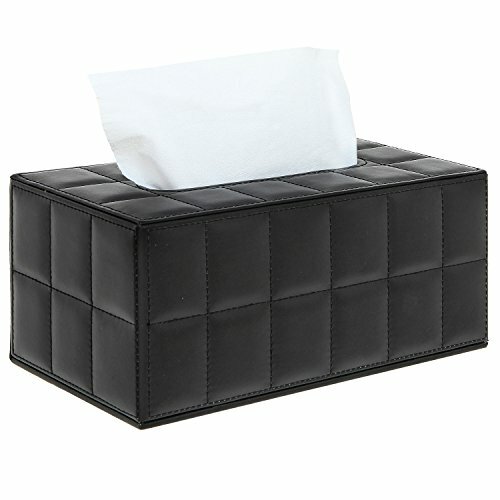 Give your tissue box some modern edge with this stylish tissue box cover. The synthetic leather exterior is quilted with a pattern of uniform squares that will add a sophisticated touch to any tabletop surface, and you can place a box of tissues (or un-boxed tissues or napkins) inside this decorative box to bring convenient tissue storage to your space as well. This eye-catching black synthetic leather tissue box cover is the perfect way to infuse your daily life with modern style and convenience. 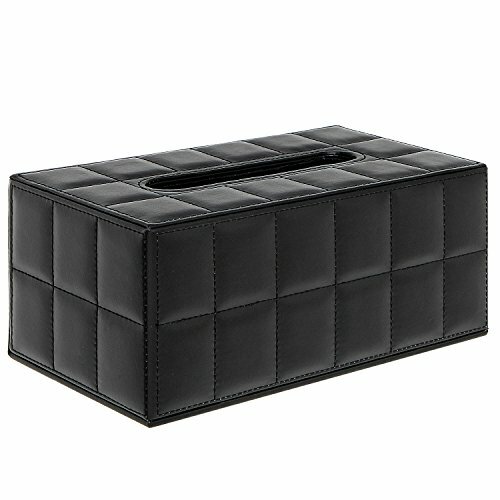 Approximate Dimensions (in inches): 9.75 W X 4.5 H X 5.5 D.
Bring modern design to your napkin and tissue storage with this unique synthetic leather tissue box cover. 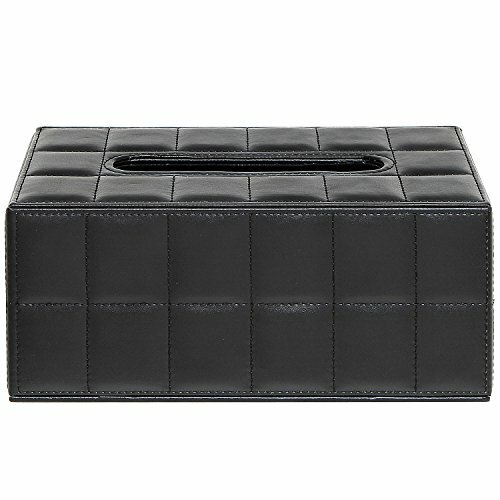 Features a black synthetic leather exterior with a modern and sophisticated square quilted pattern. The bottom panel is connected to the main box by a hinge and can be opened up to allow you to refill this tissue holder box. **Official MyGift® product. Tissues not included. ** Approximate Dimensions (in inches): 9.75 W X 4.5 H X 5.5 D.